« Celebrate the 4th at the Chateau! 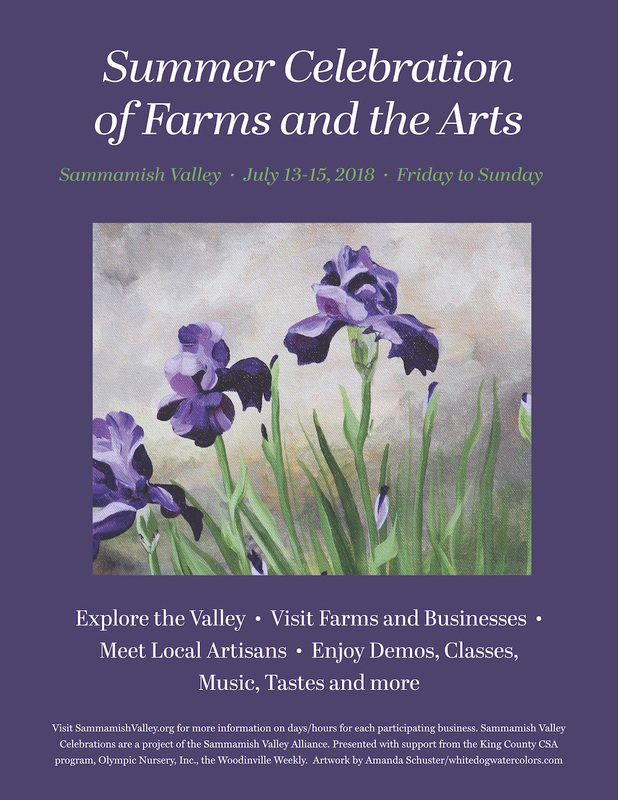 Celebrate the season by exploring the beautiful Sammamish Valley during the annual Celebration of Farms and the Arts, July 13-15th, 2018. Visit farms and businesses to enjoy food and farm demonstrations; take a class; chat with a farmer; enjoy farm inspired art. You’ll find a variety of activities that celebrate summer: learn about local farms; sample freshly pressed apple cider; taste farm-fresh food and local wine; dig in some soil and take a walk in a peaceful farm field. Each participating location has its own schedule of events during the Celebration. All ages are welcome and most activities are free. Participating farms and businesses, and a sampling of activities, include: 21 Acres Summer on the Farm with John the Falconer, Seattle Recreative and Shakespeare on the Farm; Gathering Fabric Quilt Shop; Molbak’s Garden and Home, Summer Carnival; Off the Branch Farm with their 100-year old cider press; Sammamish Valley Farm and Sammamish Valley Grange Summer of Herbs; Tonnemaker Valley Farm cherry tasting and kids All About Bugs Event, Viva Farms/SAgE farm tours and volunteer activities; and Woodinville Heritage Museum.